This article is about the Premium Draw summon stone. 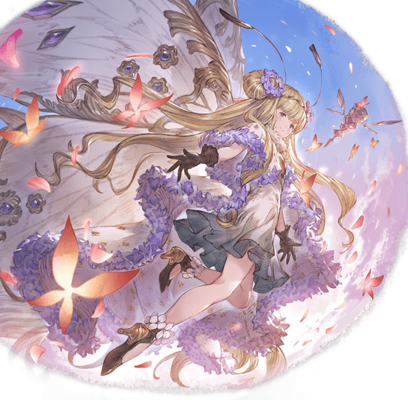 For the event summon stone, see Sylph. The divine butterfly, does she dream of the people who once worshipped her? Or is she herself the dream, invented by a population charmed by the potential of a perpetual youth she would provide? 120% boost to Fire Elemental ATK. 140% boost to Fire Elemental ATK. Strength: 15%. 5T5-turn cooldown at the start of battle. 9T9-turn cooldown upon call. This page was last modified on 5 February 2019, at 04:23.